AAA, a popular music artist group of young males and females has become a “PR Ambassador” of “One Piece”, the worldwide popular Japanese comic and anime work describing pirates, reported on 14th. 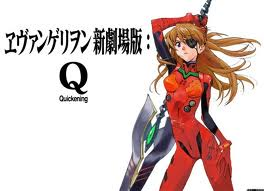 The group is in charge of the thme music of the anime work and such a promotion campaign has started commemorating teh 15th anniversary of the great subculture work. 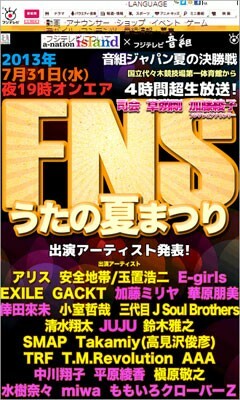 EXILE won the grand prize with its latest song “EXILE PRIDE~Konna Sekai wo Aisurutame ~” for the first time in three years and they had received the prize three times consecutively 2008-2010. The group gave up joining the awards in 2011 for they believed it to be farer after the great record of winning the grand prize three straight years. 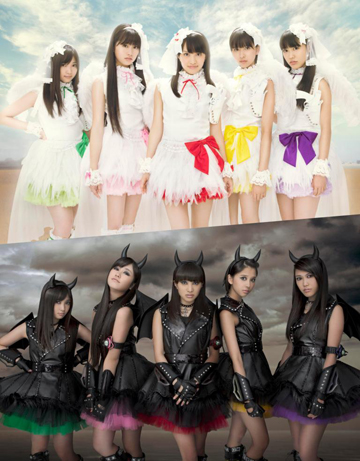 After that, AKB48 won the grand prize consective years instead 2011-2012. However, that female group couldn’t win three times in a row, which has been achieved only by Ayumi Hamasaki and EXILE so far, and now EXILE has established the new record of “four times winnings of the grand prize ” in the awards’ history. HIRO, the leader of EXILE gave words of joy and gratitude to the fans saying everything was the best. ; he will retire as a performer of the group at the end this year and will exclusively serve as president and producer of the group and its company. One of the mcs of the show, Aya Ueto, actually, is HIRO’s wife, so they must be happy very much for being able to leave such a memorable record just before his retirement. Some musicians, artists, dancers, and so forth received excellence awards and best awards. 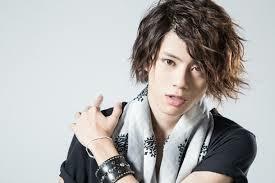 Among them, especially Kota Shinzato, an 18-year-old male singer stands out with popularity, who won the Best New Artist Award. This is a TV drama series with some movies versions of stories of a magician who solves mystery cases using magicians’ knowledge and skills. 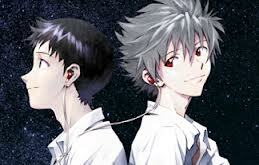 this started in 2012 and the “Last Stage” will be the work to conclude the 14-year- long drama series. 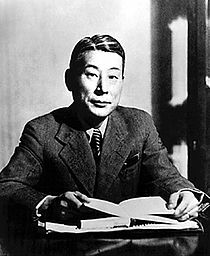 Sugihara is called “Japanese Schindler”, as he saved about 6000 Jews by issuing Japanese visas to them ,which enabled them to escape from European countries where they were suffering despite the-then Japanese government had prohibited him to do so. After WW2, he was dismissed for violation of the order, yet he received honor of Righteos Among Nations from Israel and Japanese government gave an official apology to his bereaved family of the unfair dismissal. The musical play was a touching work with good actors and singers. His strong belief of justice and agony of dilemma between his loyal duty to the government and his own chivalry or conscience were all described in detail. Sugihara’s part was played by Kouji Kikkawa, a popular rock-n-roll singer as well as an actor. 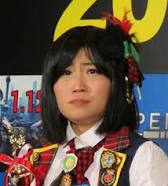 AKB48’s members Haruka Katayama and Amina Sato played the part of his sister-in-law in turn. Atsuko Maeda, a huge “graduate” from AKB48 made a one-day only comback to her “old home” AKB48 at its concert in Sapporo Hokkaido on Jul. 31. Maeda graduated from AKB on Aug,27 2012, and she made the first ” reunion” participation in AKB’s concert since her graduation over one year ago. She herself cried for big joy for being able to make a triumphant comeback visit as a “guest” and about 30,000 visitors to the concert welcomed her warmly calling her name in a passion. Though Maeda didn’t sing with incumbent AKB members, she sang three solo songs in an energetic atmosphere. Apple’s iTunes store is listing that an English version of Hatsune Miku’s song “Tell Your World” will be released March 20. The listing currently features a 90-second preview of the song. The Japanese version of the song is already available on the U.S. iTunes store. 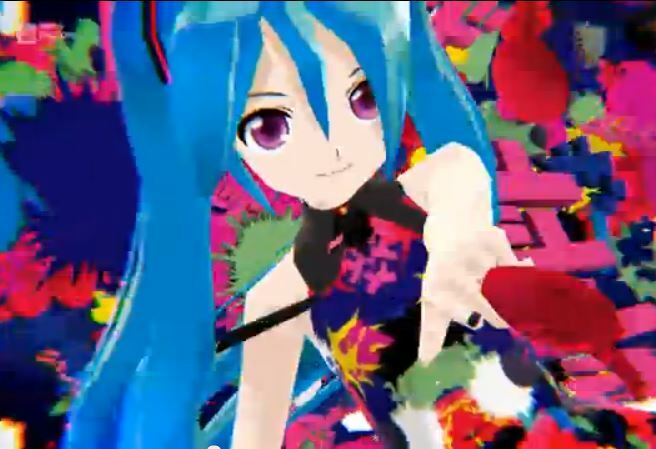 The English version of “Tell Your World” will also be included on livetune’s new Hatsune Miku album Re:Dial, which is also slated for release on March 20 in Japan. Re:Dial will include the song “Redial,” which will feature a music video from contemporary artist Takashi Murakami. 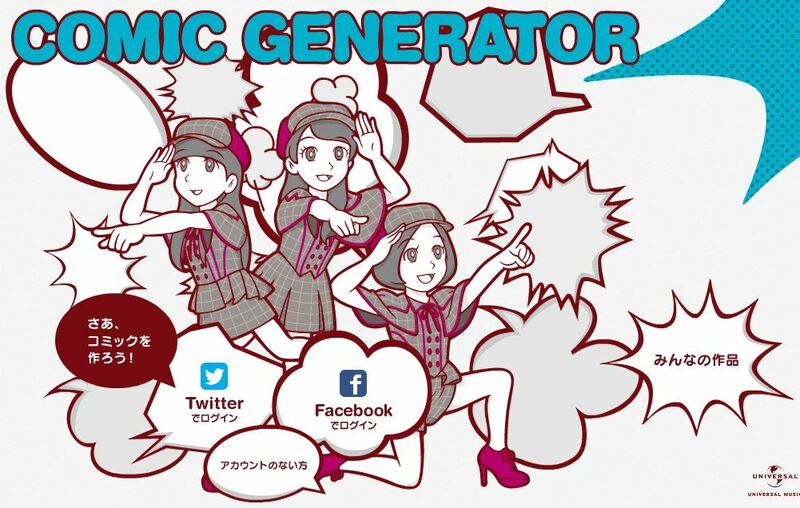 Popular pop group Perfume opened a special website where users can create their own comics featuring the band members and their new single “Mirai no Museum. 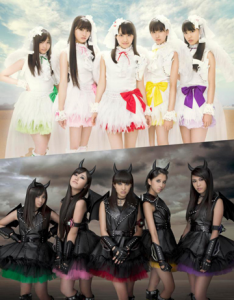 The song’s music video centersaround a character named “Shōnen P-ta” and Perfume — reimagined as three humanoid robots from the future. 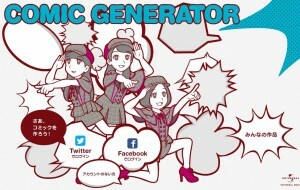 On the website, users write their own lines into four panels of the comic for P-ta and the three Perfumemembers. For the fifth panel, the computer will automatically analyze the data put into the text boxes to create the last scene, using real footage of the girls from the music video. Users can also login into their Facebook or Twitter accounts to see data previously submitted by other users..
Perfume’s new single will arrive in Japan on February 27 as the theme song to the latest Doraemon film, Doraemon: Nobita no Himitsu Dōgu Museum. The single will then arrive in Taiwan, Hong Kong, Singapore, Malaysia, and China on March 9, with the original lyrics translated into Chinese. The winning song is a virtually the last song of the group with the “absolute ace”, Atsuko Maeda who graduated from the group this August, which marked the best selling single record of this year. One of the new aces, Yuko Oshima made a speech for the winning saying, “Thanks to this victory, we have made a good mark at the new start of the second chapter of AKB48’s history. We will make brand-new AKB and please support us.” with a happy smile. And other awards went to about 40 performers, lyricists, or composers. In addition, some great singers and musicians who had recently passed away received the Special Contribution Awards. 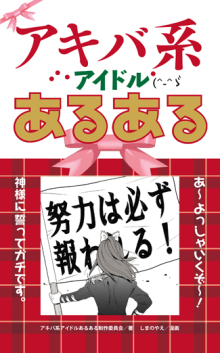 A book of collection of short fodders of suggetions which readers may agree with the ideas of the writer about “Akiba-kei”(Akihabara style) idols and their activities issued on Dec.17th.The book is “Akiba-kei Idol AruAru”(issued by Byakuya shobo, ￥1000). 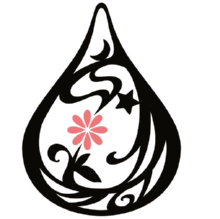 “Aruaru” means “the idea or anecdote is likely to exist”, or “readers can easily imagine the introduced story can actually happen even though that is a cooked up fiction by the writer”. the short fodders refer to popular idols such as a member of AKB48 concerning her characters and so forth. 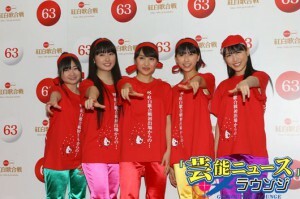 MomoirocloverZ, a female idol group explosively gaining huge popularity these days,has been chosen one of the performers of the year-end singing TV show, the 63rd Kohaku Utagassen(The Red and White Singing Competition) of NHK on the coming new year’s eve of this year for the first time.The group had declared it would announce a huge notice on the Jan. 1st 2013 though the content of the news has not been known. The group joined the official rehearsal of the Kohaku on 29th and reported the happy impressions and excitement the members received from the fresh experience.